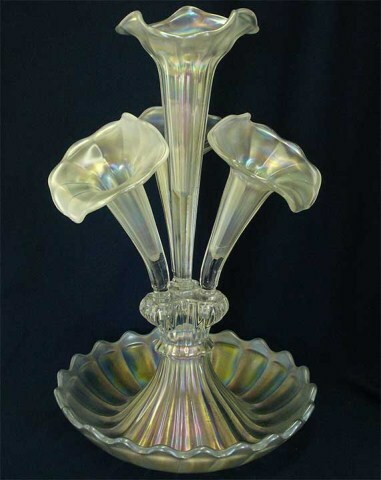 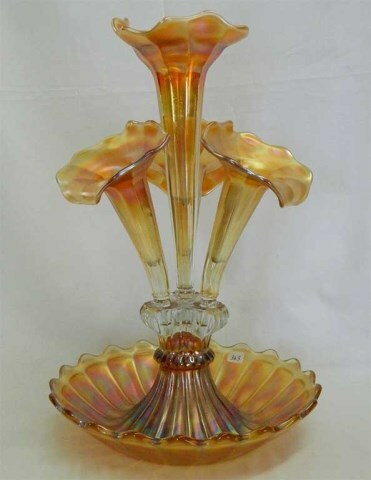 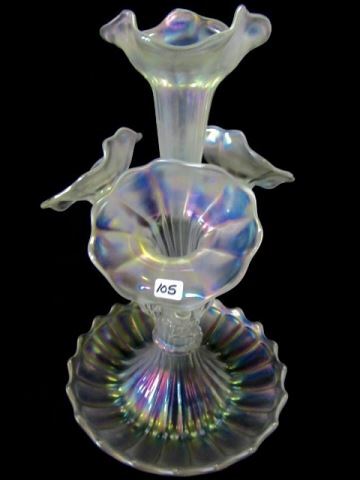 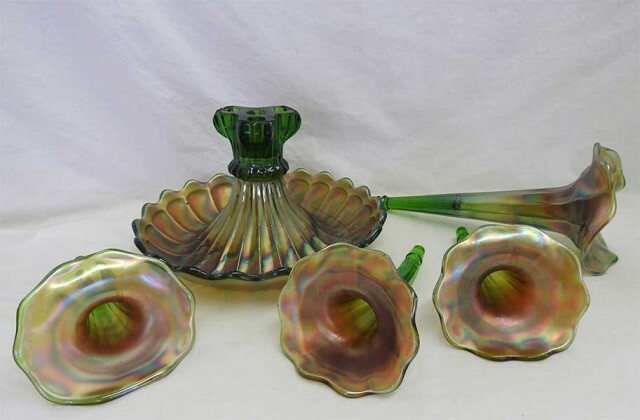 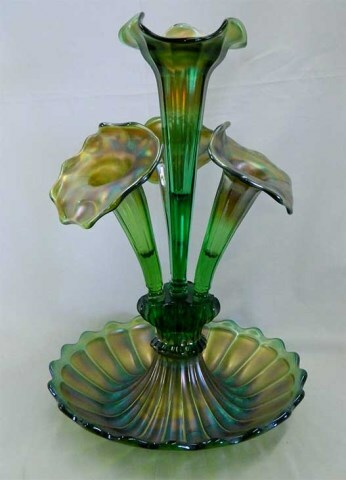 Few pieces of carnival glass are as dramatic as these large epergnes–which were originally intended to hold both fruit and flowers. 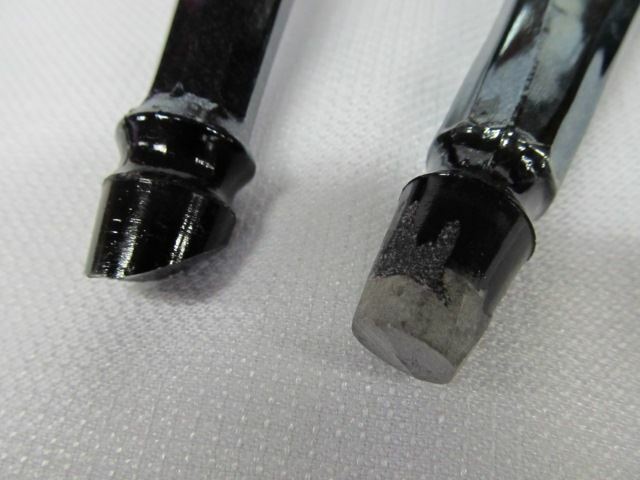 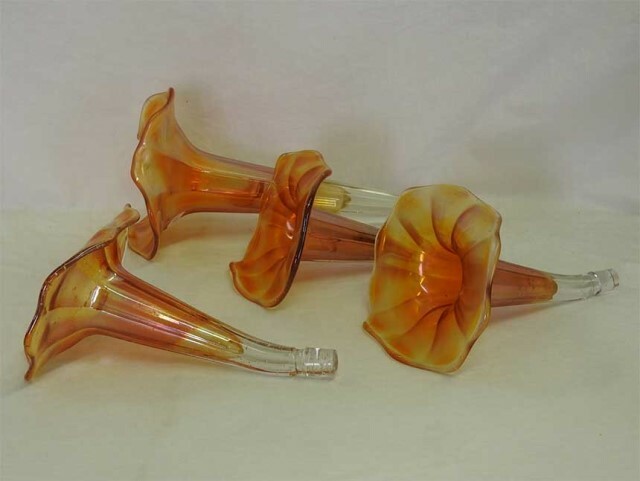 Unfortunately, handling of the several awkward components has led to damage in many of the existing examples. 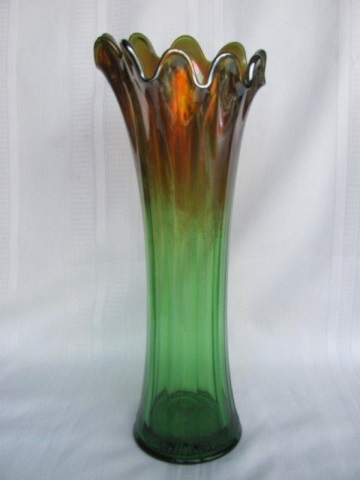 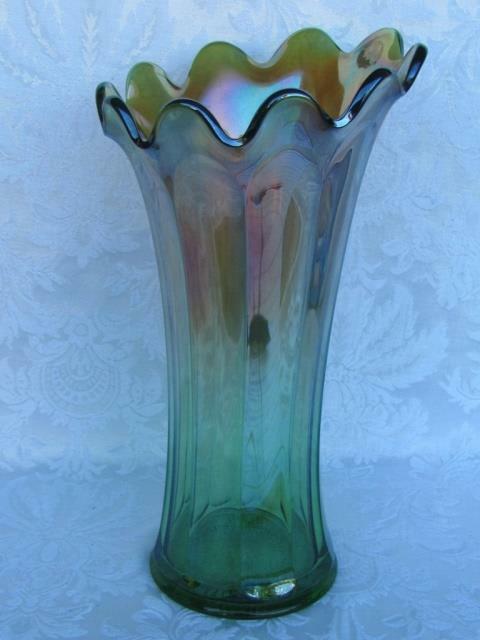 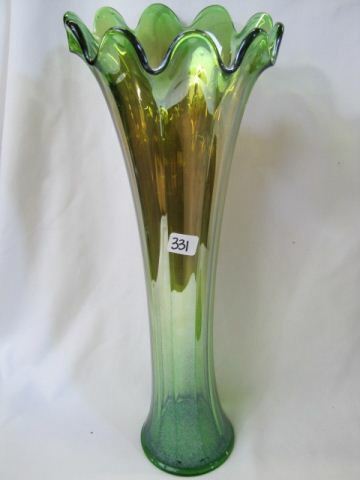 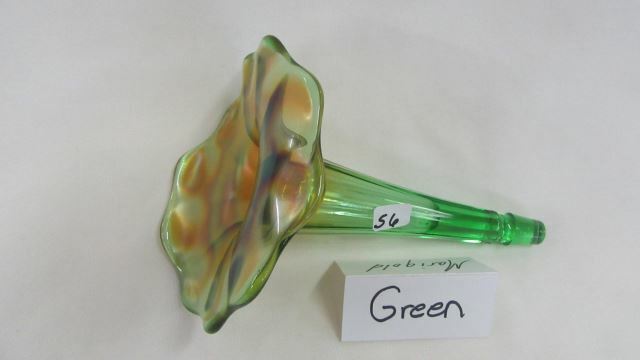 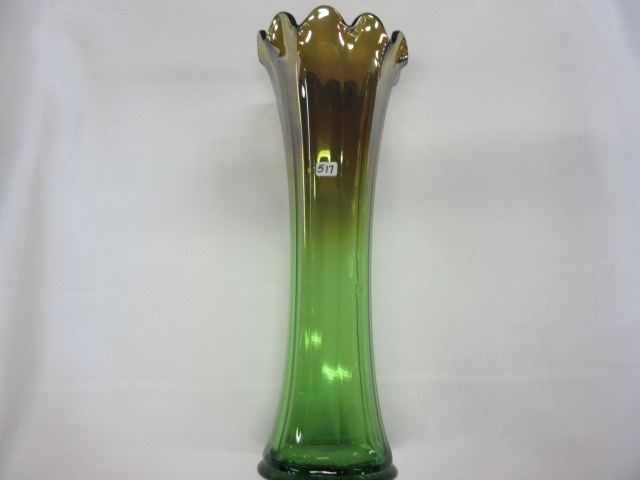 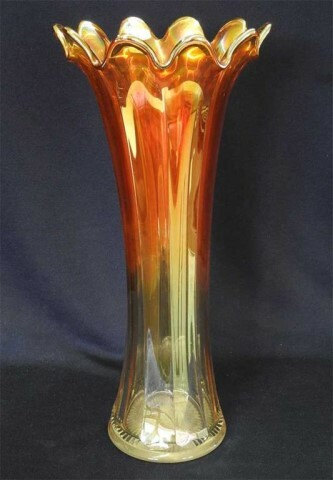 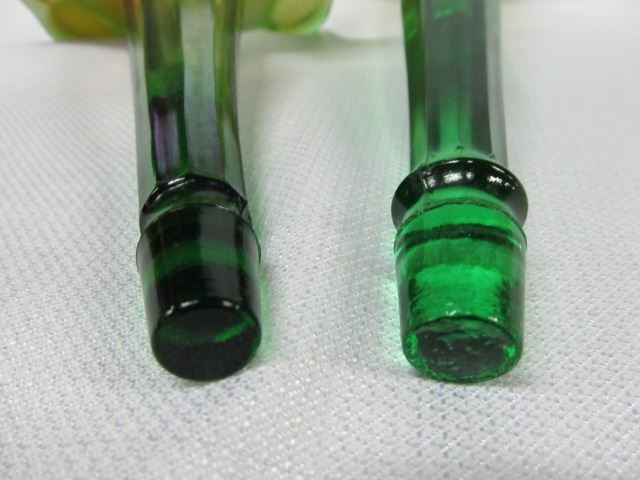 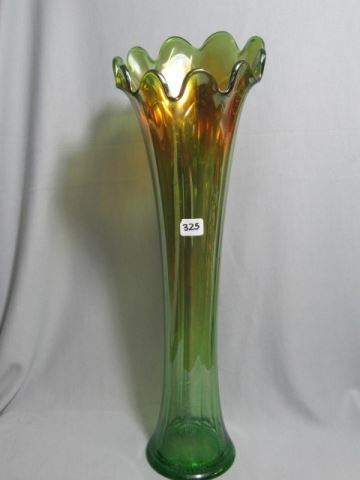 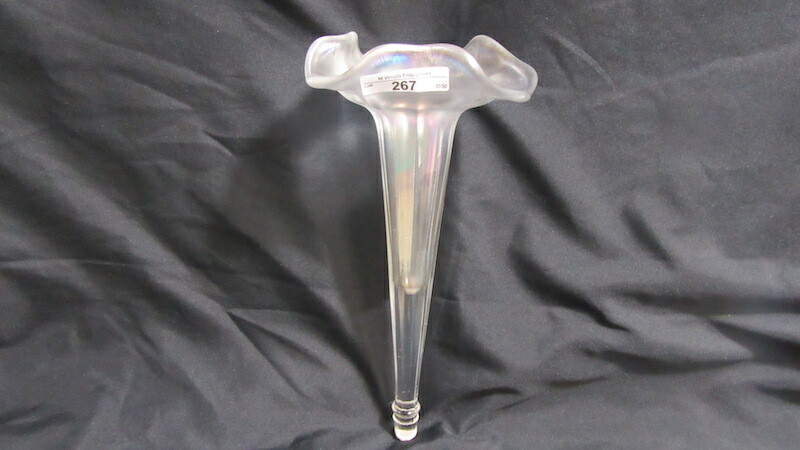 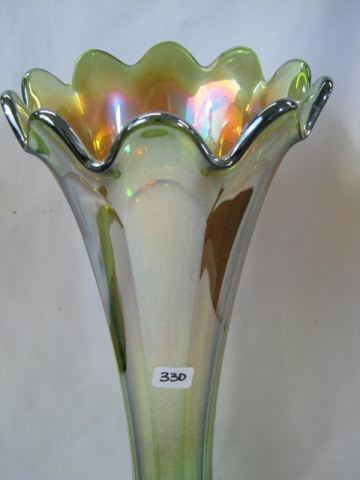 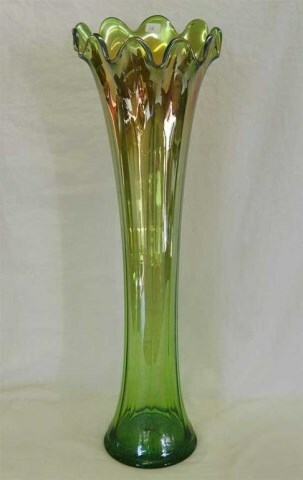 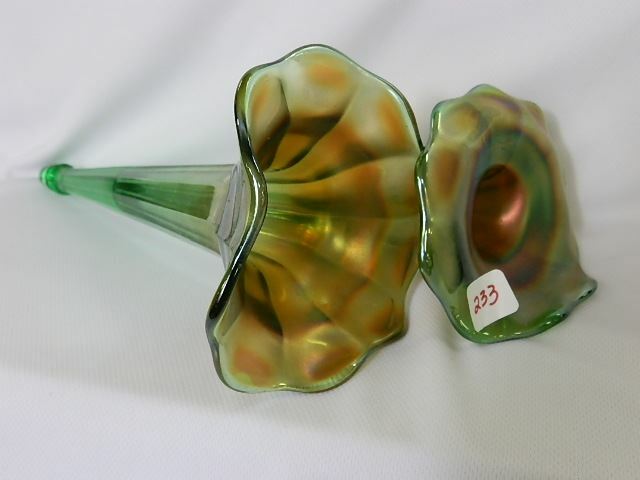 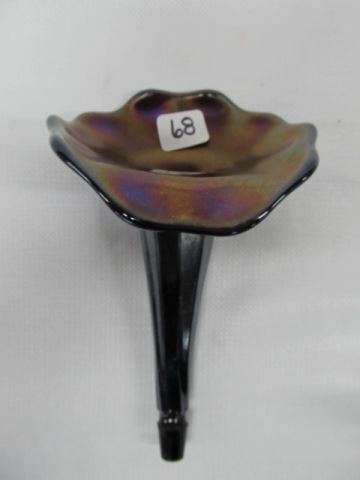 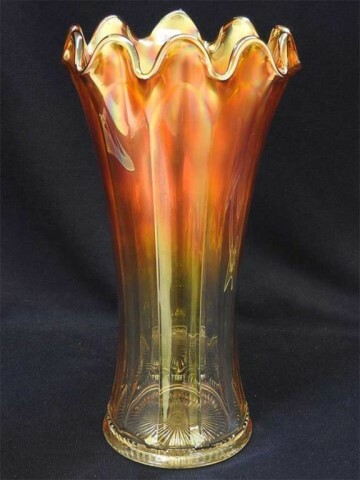 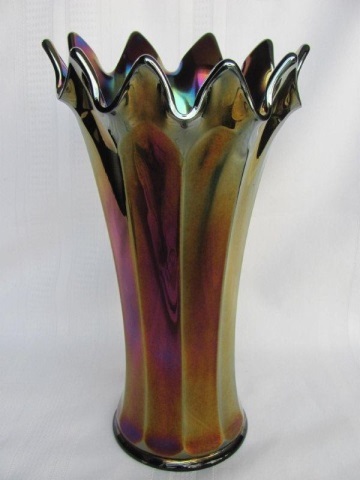 Vases are difficult to identify as they are similar to many other fairly large vases. 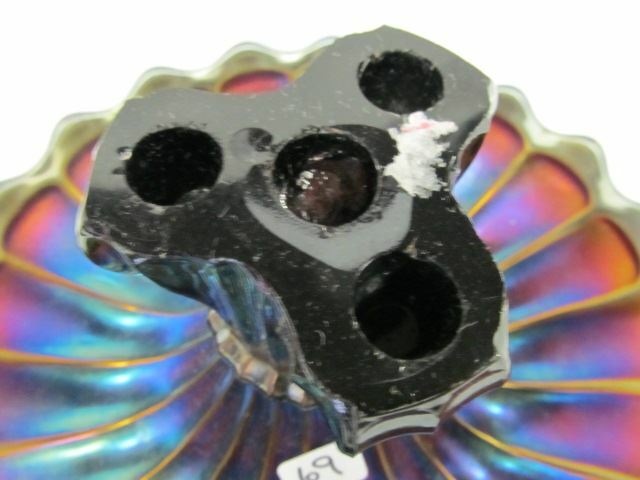 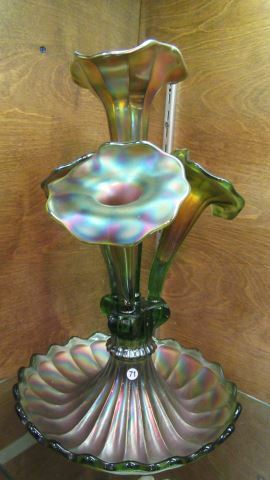 These have 10 panels and a base diameter of 4 3/4 inches with a 44-point star in the base. 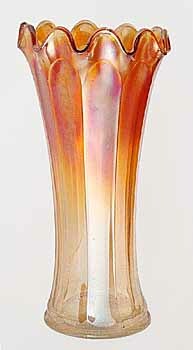 Often seen with a heavier marigold iridescence at the top as shown in the photo. 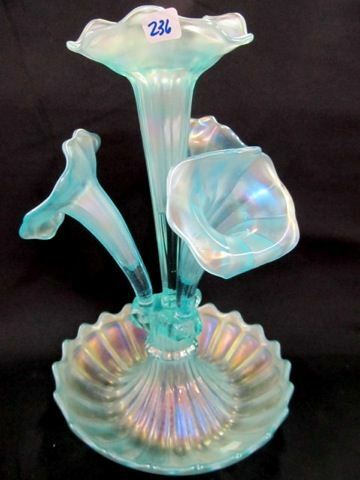 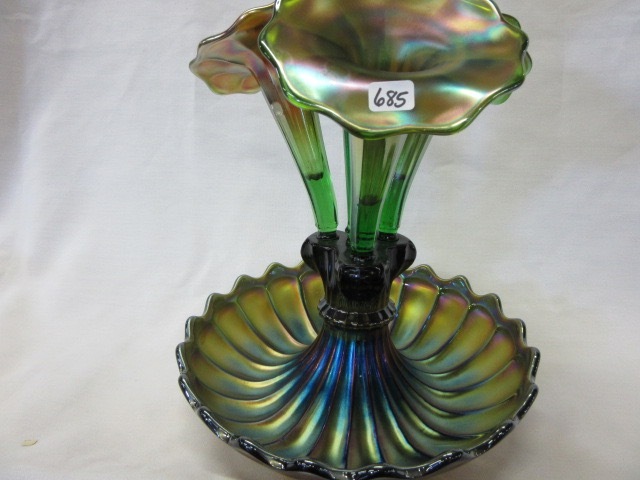 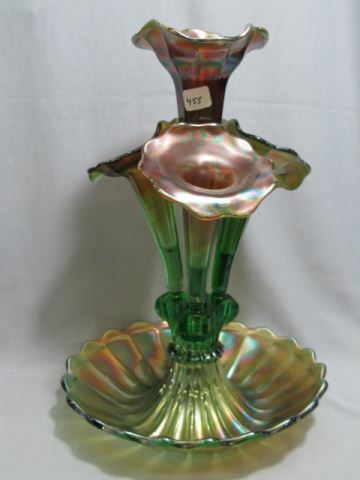 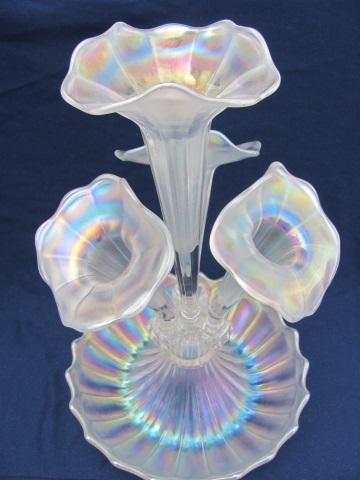 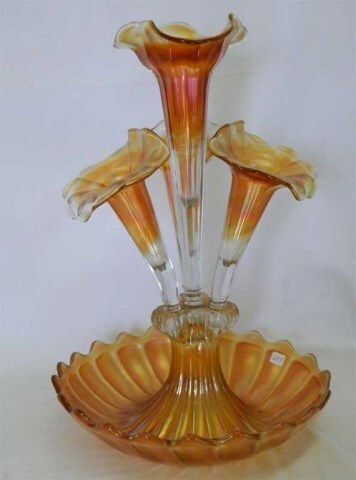 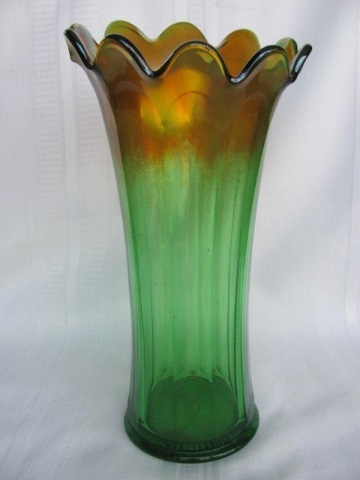 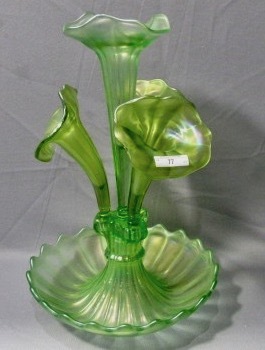 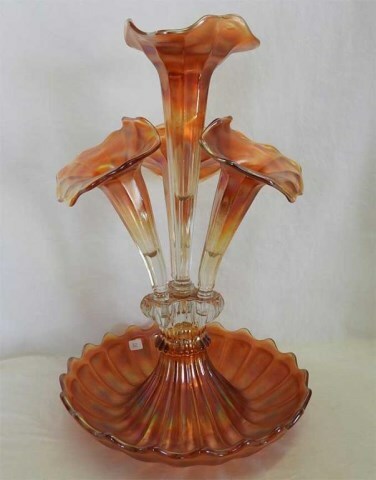 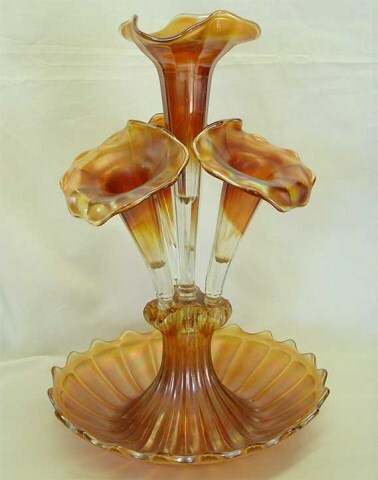 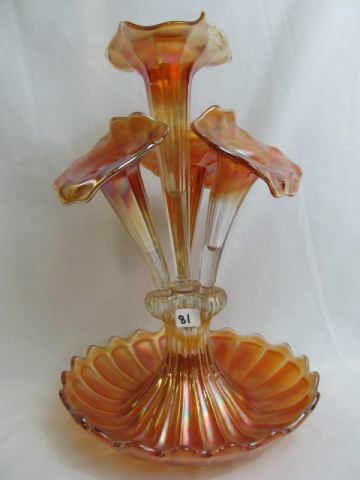 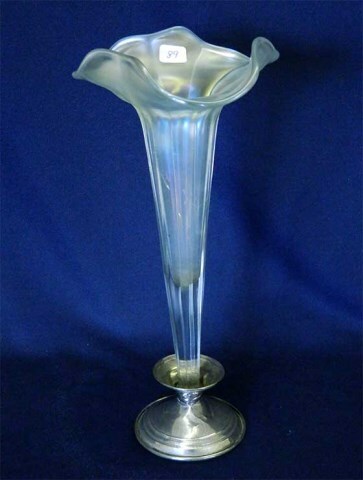 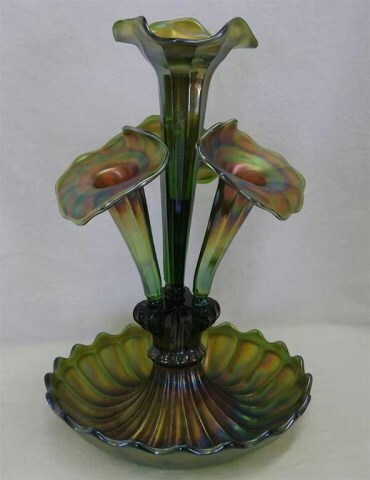 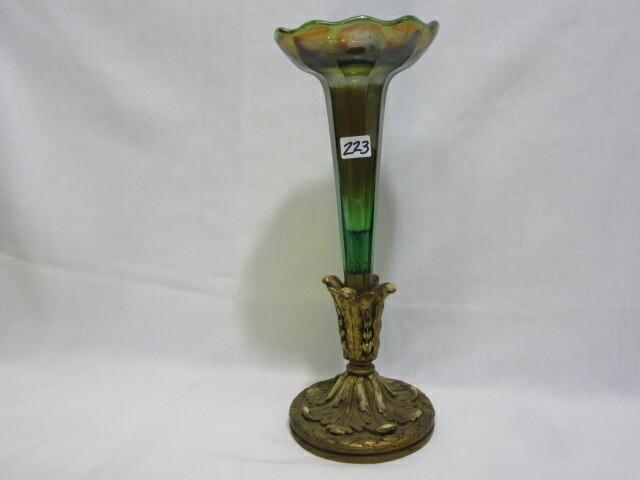 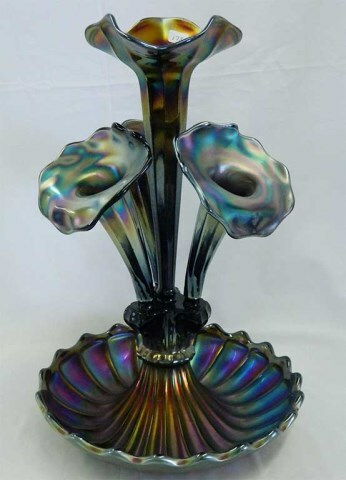 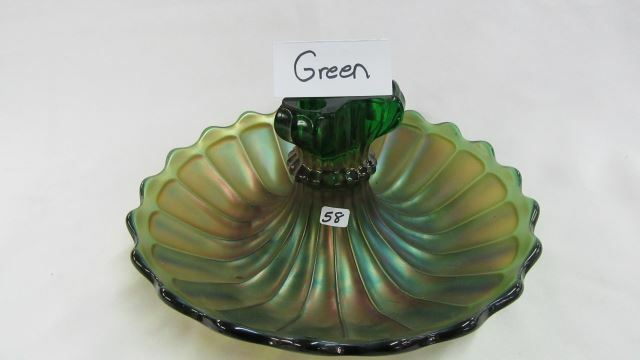 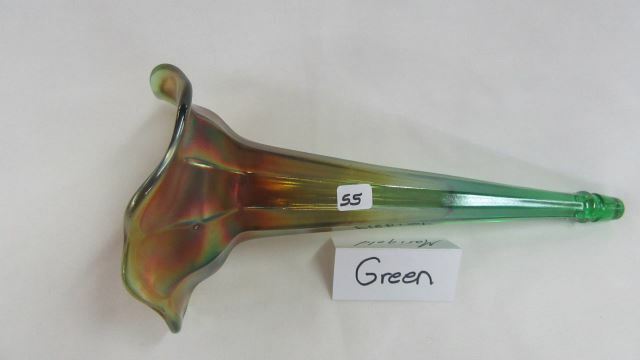 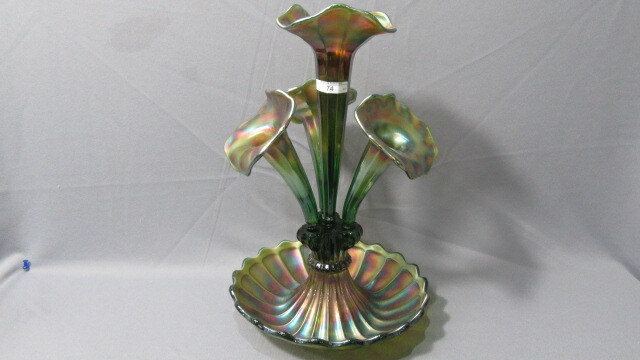 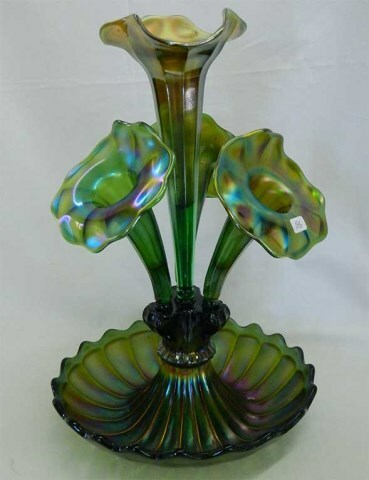 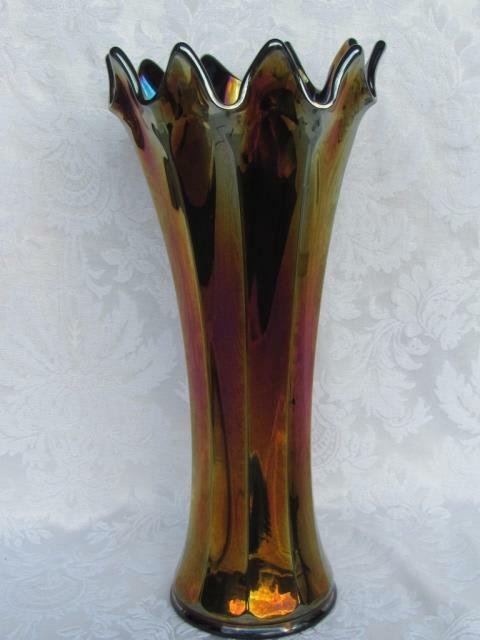 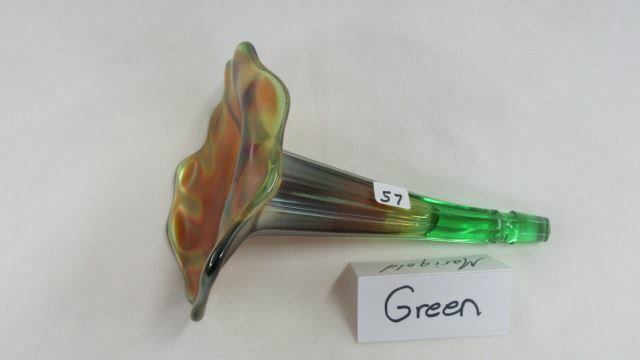 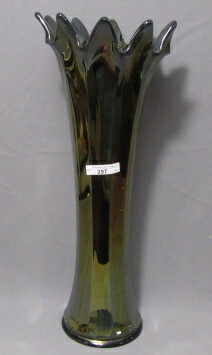 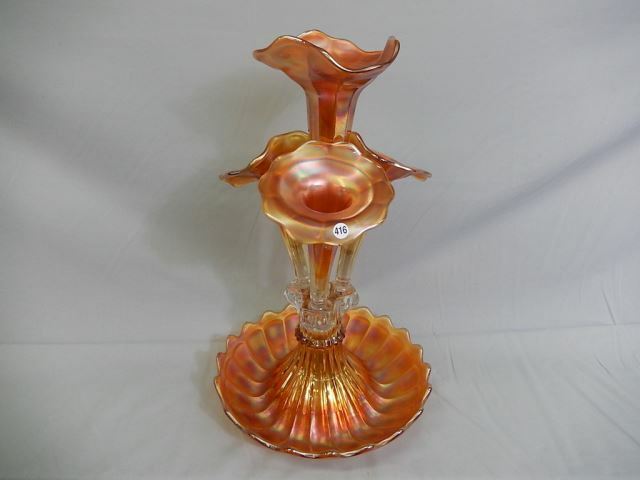 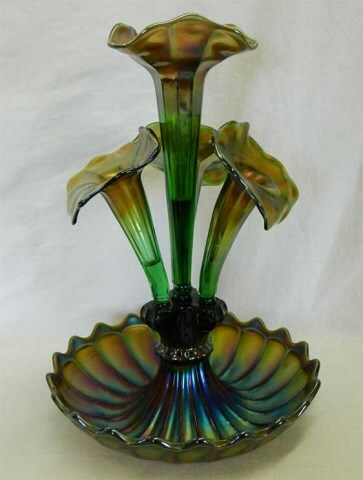 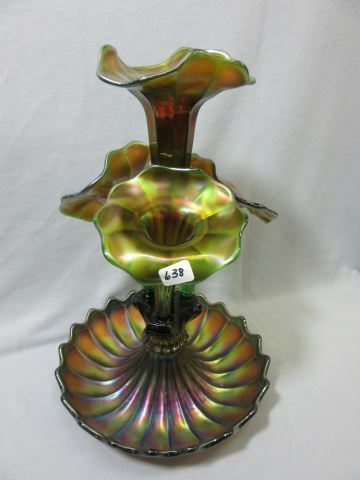 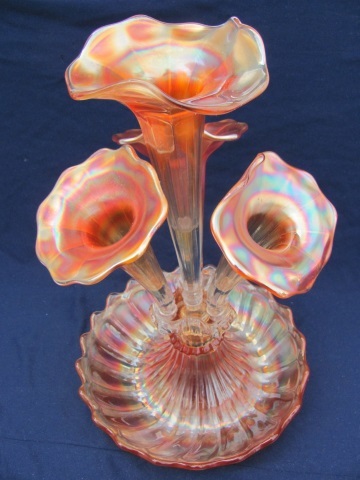 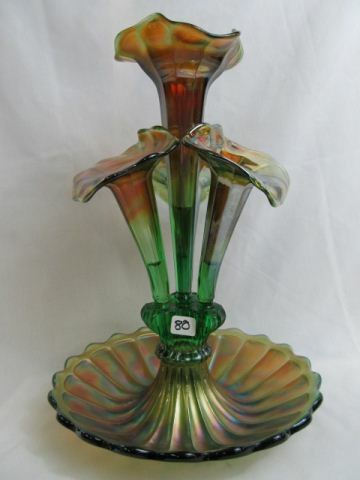 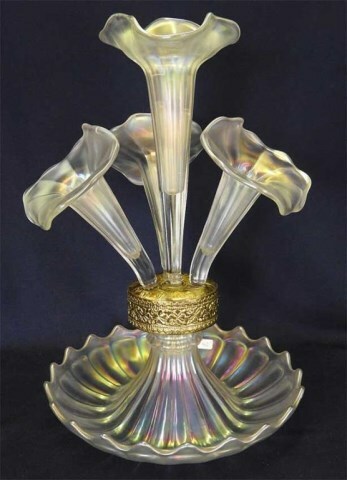 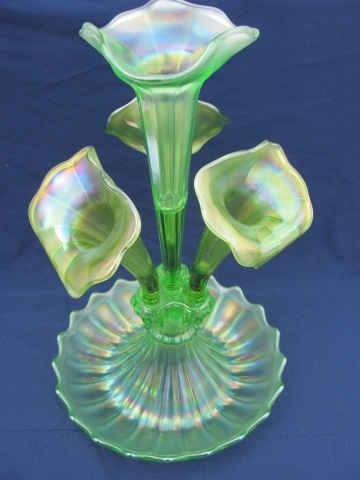 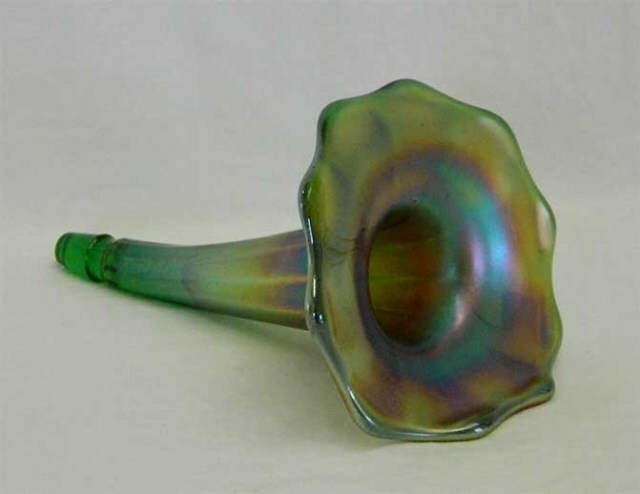 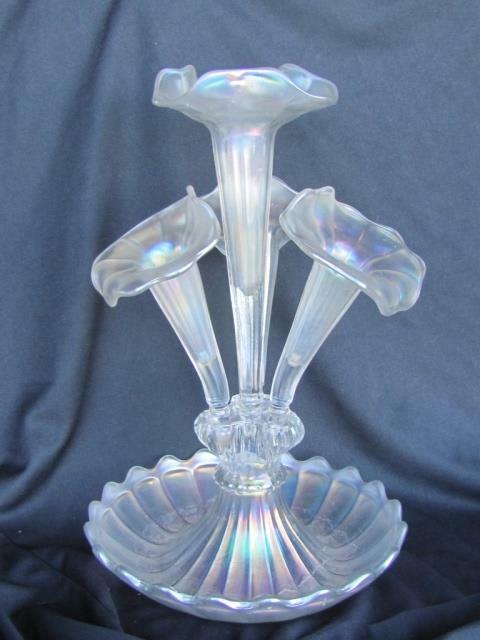 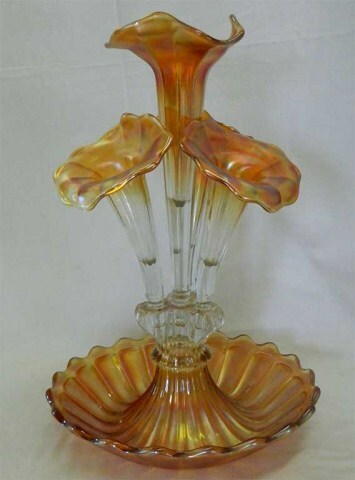 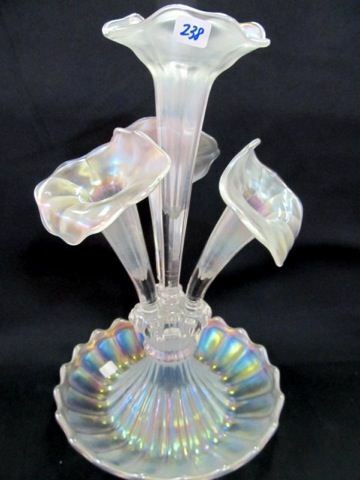 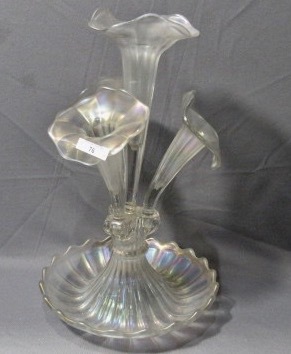 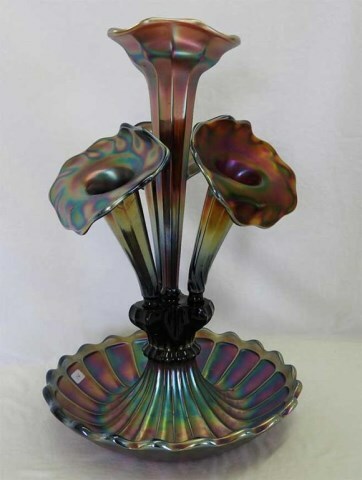 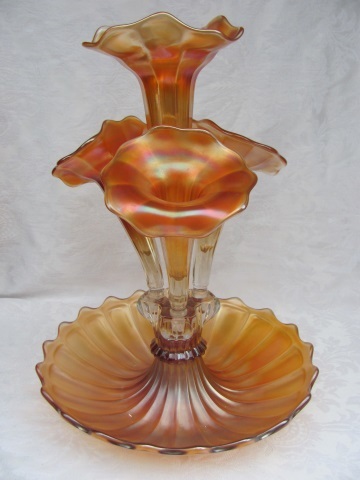 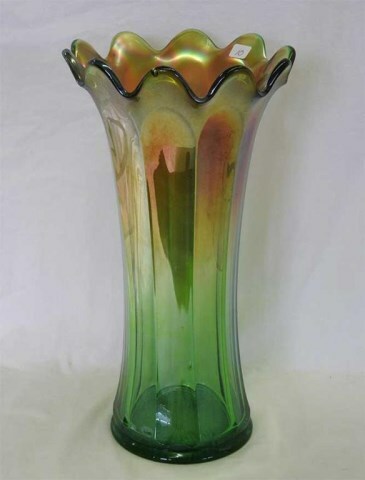 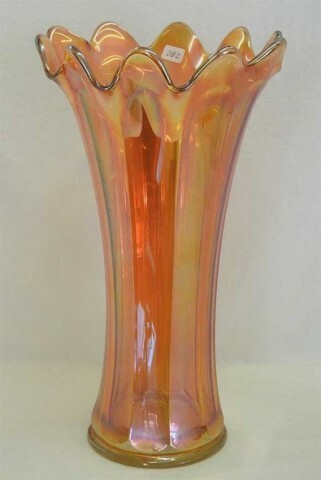 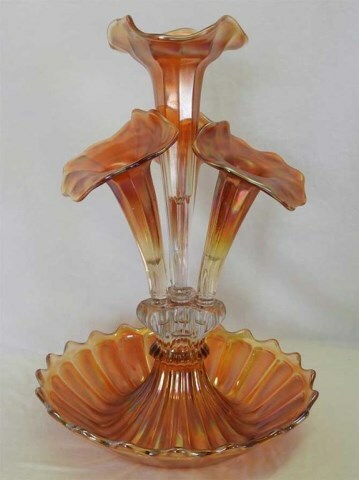 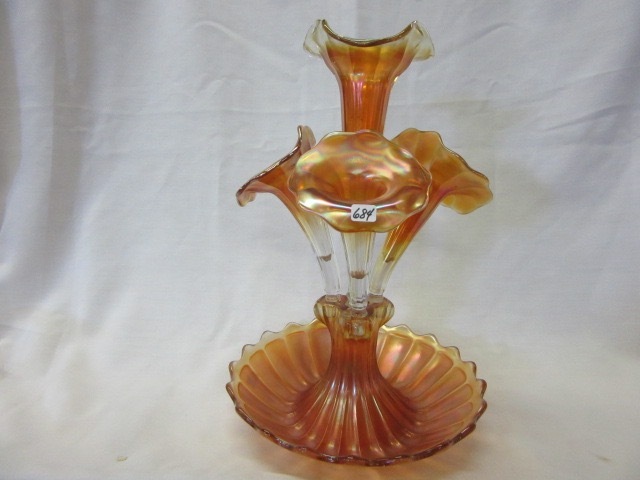 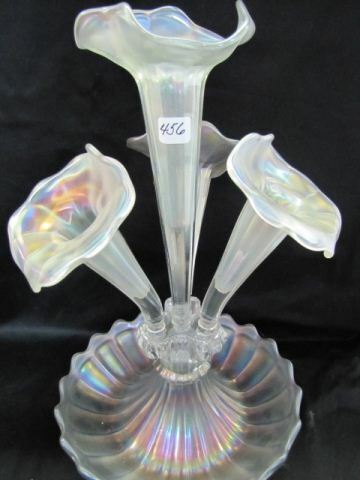 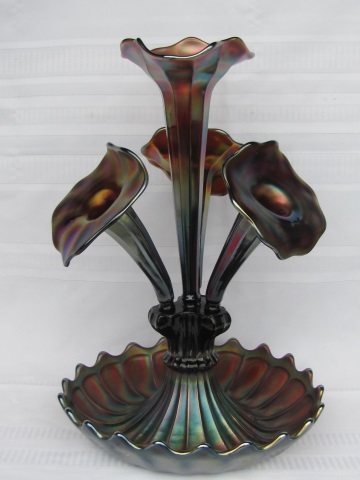 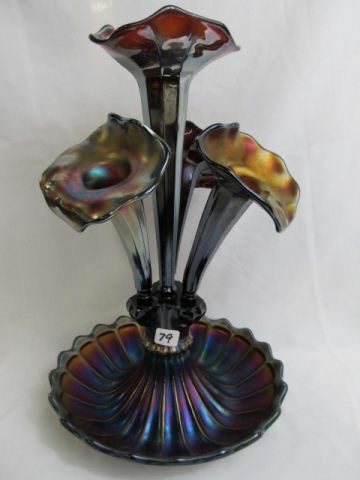 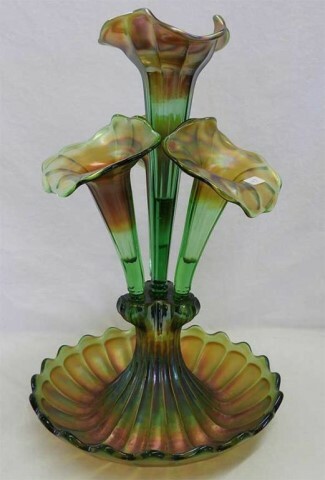 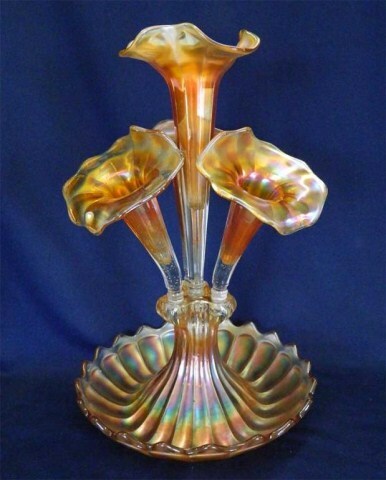 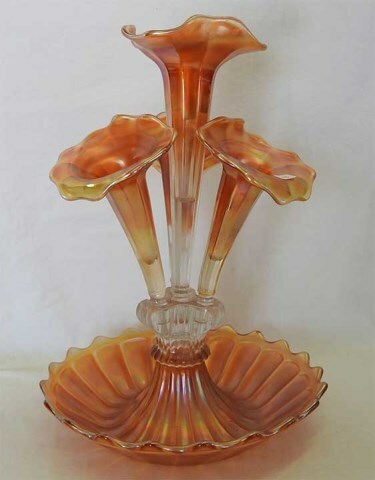 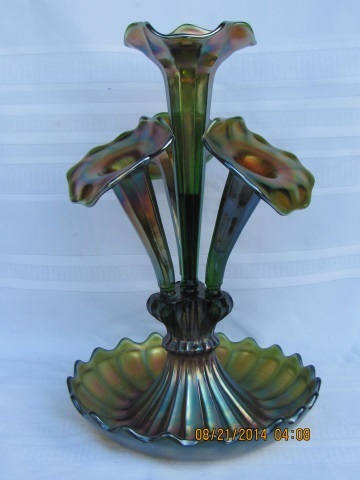 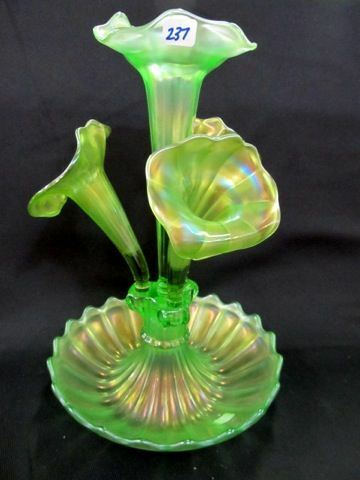 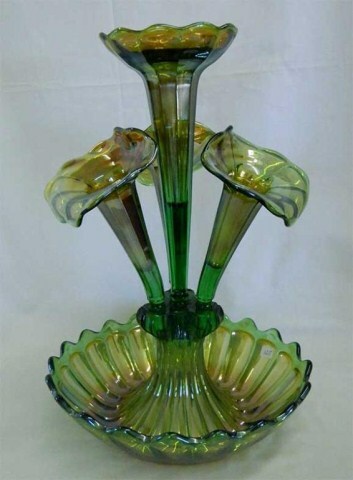 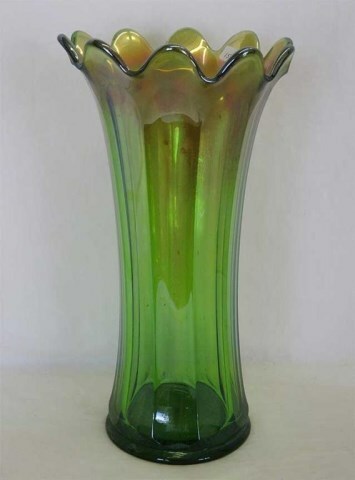 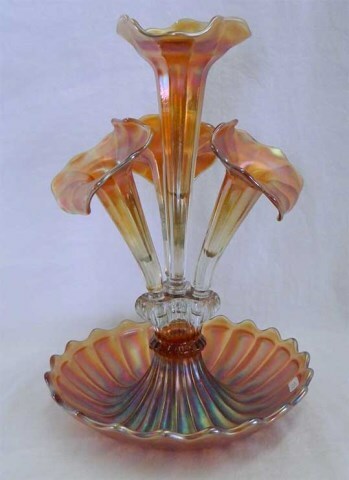 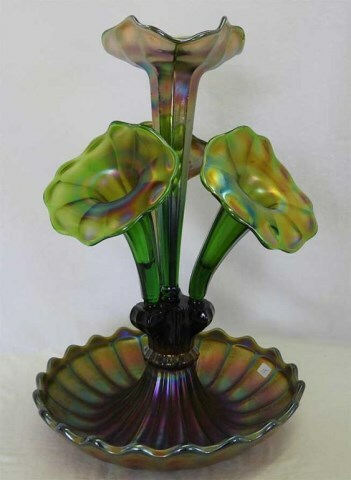 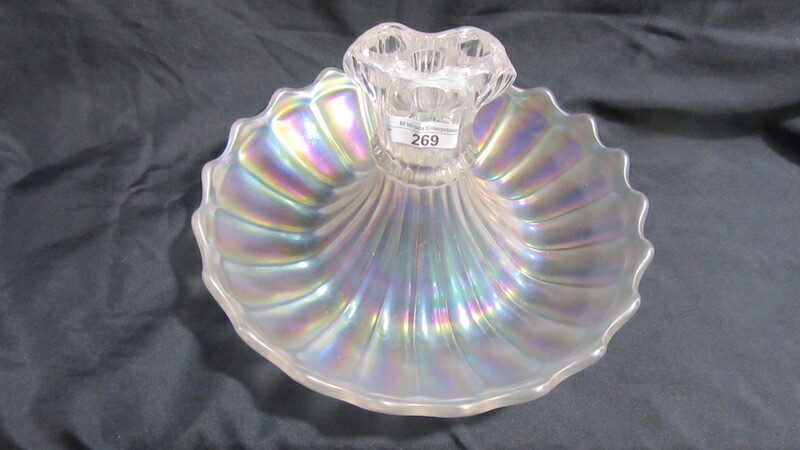 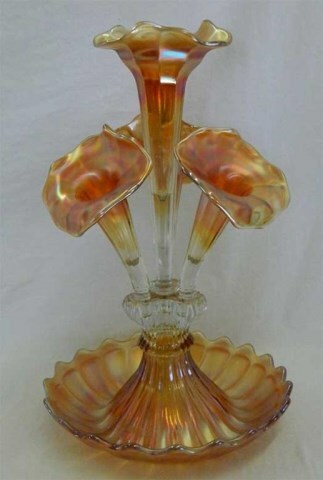 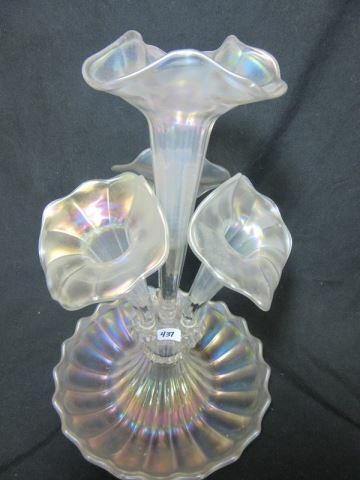 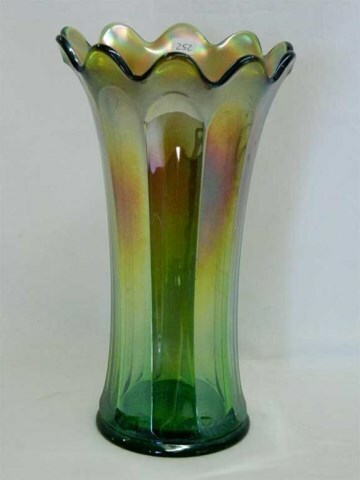 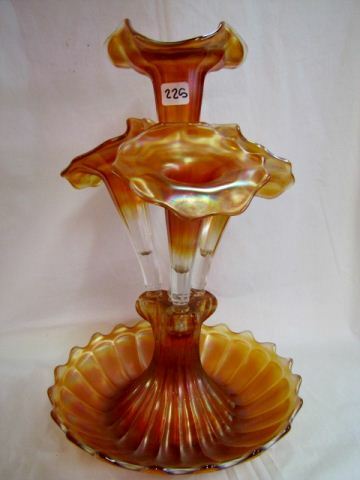 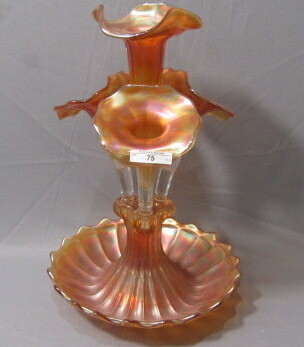 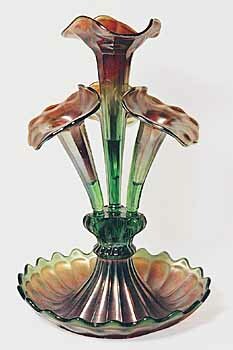 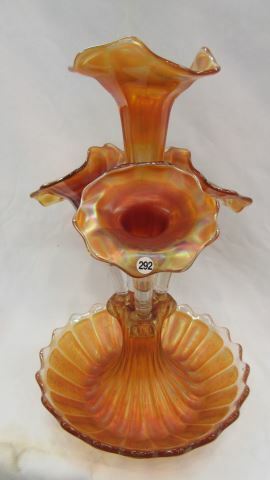 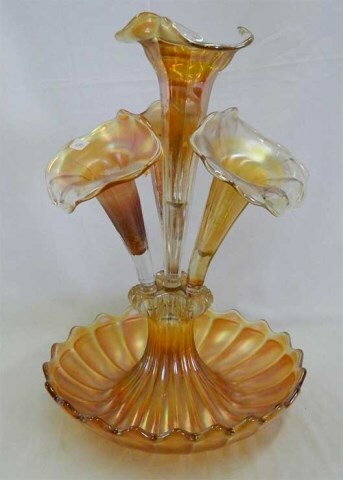 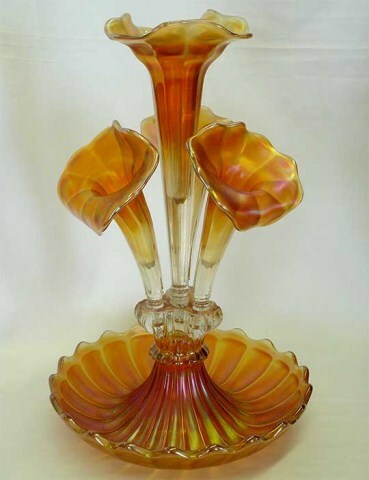 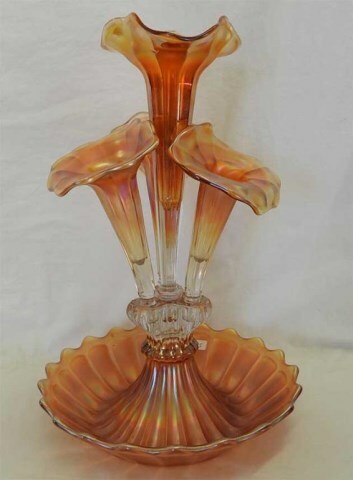 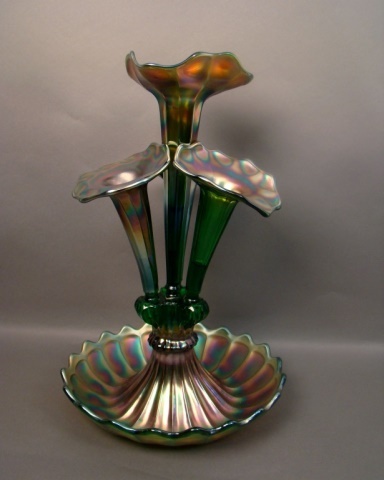 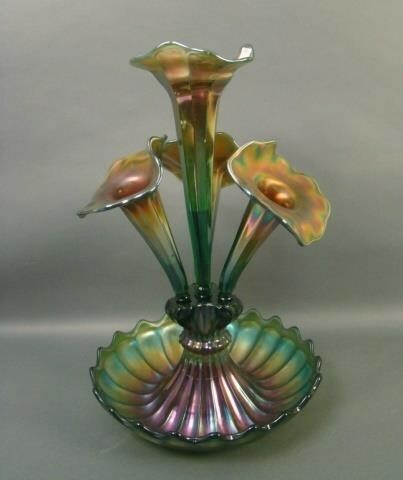 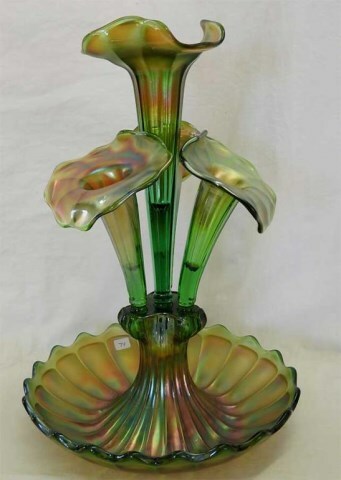 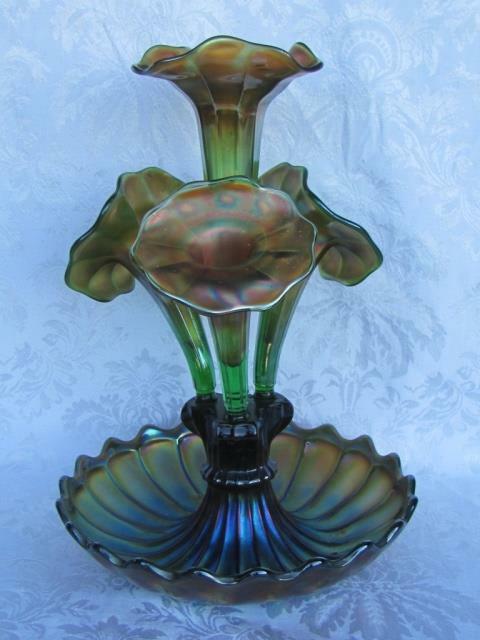 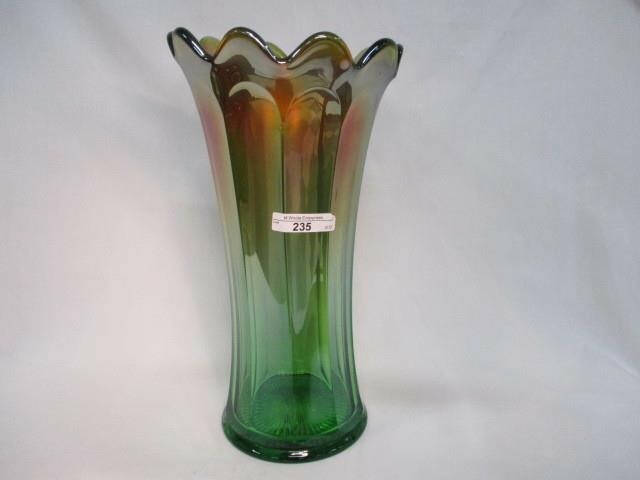 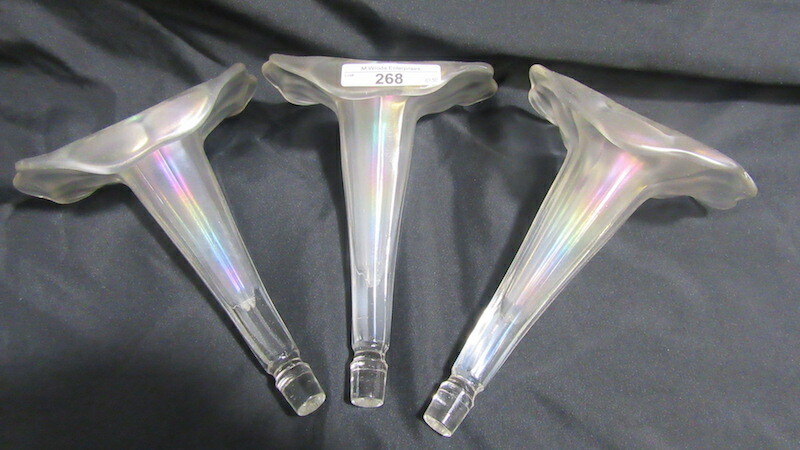 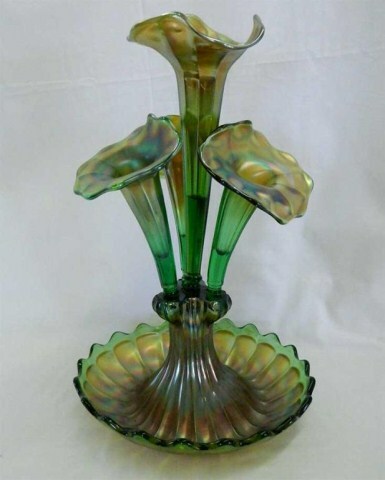 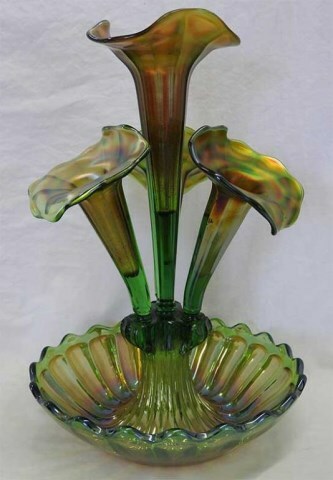 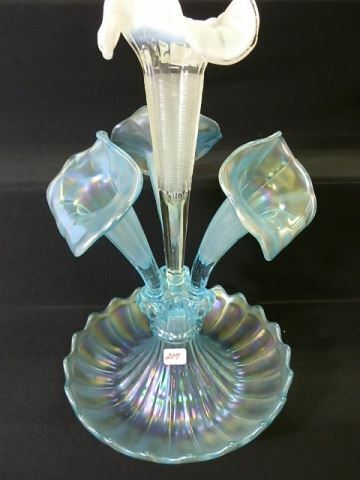 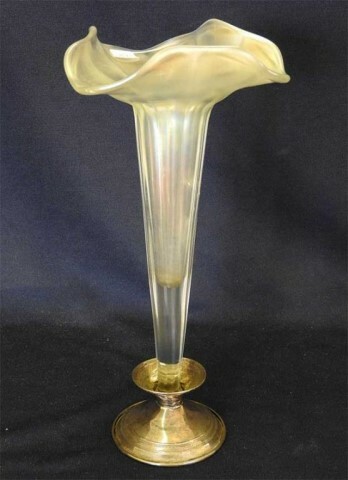 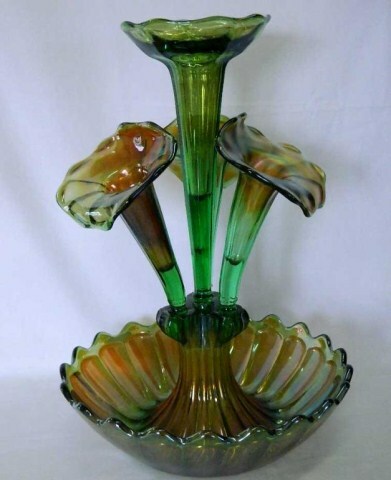 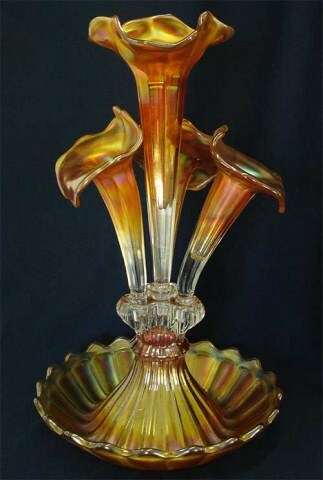 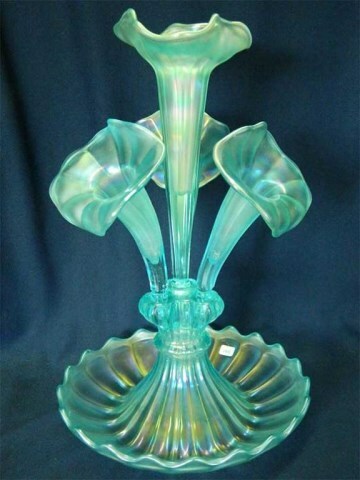 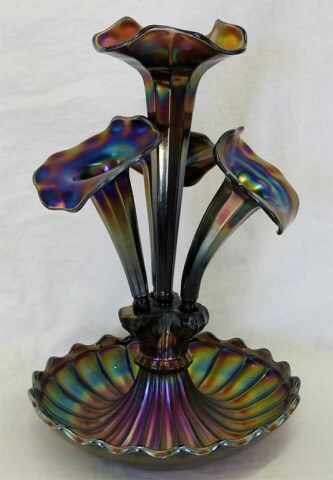 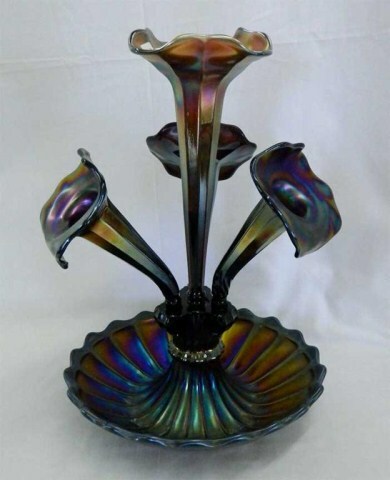 Note that Northwood's Flute vase is quite similar but with eight panels and a 4 1/4-inch base.